The anthology Dropped Threads: What We Aren't Told by Carol Shields and Marjorie Anderson was one of Canada's great publishing success stories, inspiring two sequels and underlining the power inherent in collective voices. Anthologies make excellent books—and they make great gifts too! We've asked Jessica Hiemstra and Lisa Martin-DeMoor, editors of the new anthology How to Expect What You're Not Expecting, to share with us some of their favourite non-fiction anthologies, at least one of which is sure to appeal to someone on your list this holiday. Great Expectations: Twenty-Four True Stories About Childbirth, Eds. Dede Crane and Lisa Moore: This excellent anthology of birth narratives edited by Dede Crane and Lisa Moore is a collection of literary essays of the best kind. Intelligent, engaging, well-crafted pieces by accomplished writers, the essays in this anthology collectively re-imagine—and complicate—birth and its attendant possibilities. Double Lives: Writing and Motherhood, Eds. Shannon Cowan, Fiona Tinwei Lam, and Cathy Stonehouse: If you're looking for a good book to read while nursing your new baby, if you're thinking about the possibility of becoming pregnant, or if you're wishing your busy life contained more room for you, look no farther than Double Lives: Writing and Motherhood. These skillfully-written, diverse, frank, and inspiring essays about the ambidexterity required of writers who are also mothers will offer you insight and companionship. 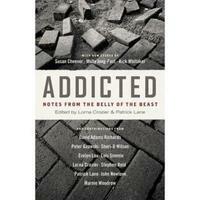 Addicted: Notes from the Belly of the Beast, Eds. Lorna Crozier and Patrick Lane: Brilliant and gorgeously-written personal narratives of addiction by some of Canada's leading writers. Courageous, yes, but also comical, heartbreaking, and profound, by turns. Whether or not you've struggled with addiction in your life, these essays offer understanding and the possibility of recovery. Writing Life: Celebrated Canadian and International Authors on Writing and Life, Ed. Constance Rooke: A fascinating collection of essays for anyone interested in the multiplicity of ways that writers approach their work. Taken together, these pieces by established novelists, essayists, and poets provide a compelling vision of the possibilities of the writing life. Proceeds support PEN Canada's important work for freedom of expression. Approaches to Poetry: the Pre-Poem Moment. Ed. Shane Neilson: "The origin of poetry is presumed to be song; but what is the origin of the poem?” asks Shane Neilson, the editor of this collection in which 27 poets talk about and enter into discussion with one of their own poems that they like best. This anthology is about the means of poetry and, as Shane Neilson, its editor puts it, it’s about “how biography and image and the right words render themselves unto a poem.” These poets, as they search their own minds, make discoveries about themselves and about their processes. This book gives insight not just into what poetry is, but also into what drives a person to write a poem in the first place. Somebody’s Child: Stories About Adoption. Eds. Bruce Gillespie and Lynne van Luven. Foreword by Michaela Pereira: This collection of essays is about our search for where we come from and who we are. The topic of adoption is never a neutral issue, and that is clear in the breadth and depth of the 25 essays included in this book. Each essayist speaks with courage about their relationship to adoption—whether sharing a tale of heartbreak, joy, or closure. Nobody’s Mother: Life Without Kids. Ed. Lynne van Luven: Nobody's Mother is a collection of stories by women who don’t have children. As the blurb about the book says “this collection spans the introspective to humorous to rabble-rousing. These are personal stories that are well and honestly told.” The book of essays by diverse writers includes an introduction by well-loved CBC personality Shelagh Rogers and its writers also range in age from early 30s to mid-70s. This book is about motherhood, identity, society, choice, and destiny. Nobody’s Father: Life Without Kids. Eds. Lynne van Luven and Bruce Gillespie: So many stories about having children are written by women for women. This collection of essays gives voice to people who don’t often have a platform to speak about childlessness: men. 8% of men in Canada choose not to have children and Nobody's Father gives readers fresh, honest insights into the men who make this choice. The writers in this book range in age, sexuality, and geography, but what these men have in common is good writing and honesty. How to Expect What You’re Not Expecting: Stories of Pregnancy, Parenthood, and Loss. Eds. Jessica Hiemstra and Lisa Martin-DeMoor: The essays in this book are worth every minute you will spend reading and rereading them. Here’s how Kim Jernigan begins her excellent foreword to the anthology: “This book, the one you hold in your hands, this book about loss and longing and the half-life of grief, is a wonderful book, one you will want to read, and read again, and share with someone dear to you. This might be a surprise, at least it was for me, for it’s a book in large part about the greatest of heartaches, the loss of a child. And yet this book is more than that…” This is a book about loss and heartache, hope and love. A book of sorrow and consolation. A book brimming with resilience, beauty, grief, and above all with language that knows precisely what it’s doing. A Family by Any Other Name: Exploring Queer Relationships, Ed. Bruce Gillespie: Due in April 2014, this anthology is highly anticipated. Keep your eye out for this important book that promises to expand and enrich the cultural conversation around parenting and family.